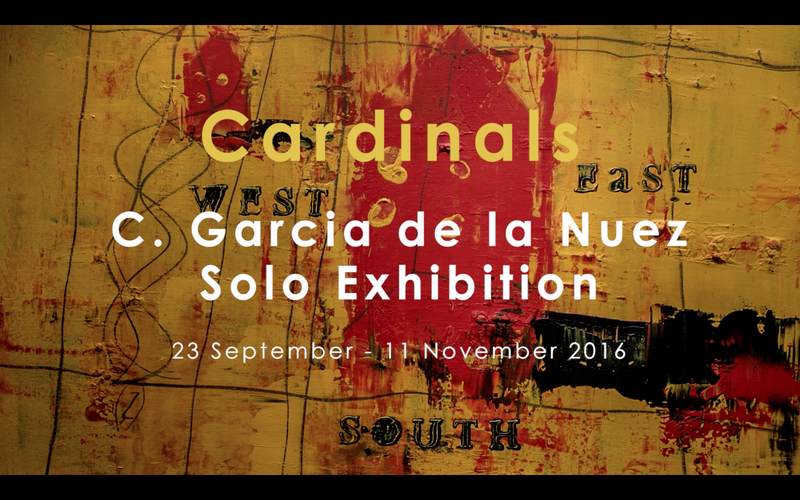 On 23 September ,we were honored to open Cardinals by Cuban Artist C. Garcia de la Nuez’s first solo exhibition in Asia Pacific at Sin Sin Fine Art. The exhibition has been well received by not only Hong Kong but audiences from all over the world. Carlos reveals his private universe through figures, words, abstract images that only he can completely decode. He shares flashes of intimacy mixed with philosophical, ethical, existential reflections through his artworks. Mr. Ho was invited to provide a live musical backdrop with a selection inspired by the artist's heritage and artworks, as well as the physical space of Sin Sin Fine Art. Special thanks to sponsorship by Pacific Cigar and Pernod Ricard's Havana Rum Club to accomplish a Cuban artsy night with a flavour of Havana. We had a blast and click [More] to find out what you have missed! Sin Sin Atelier is pleased to represent Japanese jewelry designer and gemologist Honoka Kawazoe in Hong Kong. Her concept to create the bond between people and stones by using raw uncut emerald has brought us together. The connection comes alive by making jewellery according to the character and nature of each person and individual gemstone. We are still representing the gem stones by Honoka at Sin Sin Atelier! Come check them out if you have missed the opening! To celebrate the new beginning of the transitional time, we had a Blues Night of “KICK OFF” in our Studio 54. It was such an honour to have Billy Hung, Bill Loh, Neil Art, Neslon Hiu, Sze Ka Yan, Wilson Tsang and Wong Yan-Kwai sharing their soulful blues with all of us. We have featured artworks of a selection of International artists Gevile Buniikyte, Louis Cane and Wong Yan-Kwai. The exhibition runs until 15 November 2016. It was our honour to host Khandro Rinpoche’s last teaching in Hong Kong about how to calm our minds from the hustle of city life and touch our inner peace within. Khandro Rinpoche was born in Lahoul, which is known in the dharma texts as the "Land of the Dakinis". She was born into a family of great Tibetan yogis who were renowned for their extensive and pure practice. She has therefore been trained since childhood in the practices of Vajrayana Buddhism, and grew up in an environment where spirituality was an integral part of everyday life. Thank you for joining us for the peaceful night. The exhibition runs until 15 November 2016 at JOYCE Boutique, New World Tower, Central, Hong Kong. Sin Sin Fine Art proudly present the first solo exhibition in Asia Pacific of renowned Cuban artist Carlos García de la Nuez. – “Cardinals” opening on 23 September. A member of one of the key visual artist groups of the period, "4 x 4", Carlos García de La Nuez emerged from the rising generation of the 1980s that stood for a separation from the traditional schools of Cuban Painting. Garcia de la Nuez's aesthetics celebrates Cuban's national art, based on the language of gestural expression with influences of abstract art. The artist uses spots, textures, and signs of other subtle techniques as lyrics to amplify elemental themes of tension and equilibrium with indubitable artistic vigour. Proper attire required: No t-shirts, polo-shirts, short trousers, sandals, trainers and slippers. For RSVP and booking details please contact heather@sinsinfineart.com. SOUTHEAST ASIA + TRIENNALE OF ART “ENCOUNTER; Art From Different Land"
The 2nd SOUTHEAST ASIA + TRIANNALE OF ART is for Southeast Asian and some other country invited, initiated by National Gallery of Indonesia, directorate of Culture and the Secretary of Education and Culture to link the Indonesian Art growth to the Southeast Asian Art. The meeting of wide range Artistic expression of each artist from different lands is not only about the describe various situation behind the artworks creation also about the point of view, attitude, and each artist prospective. Art expression (again) become a kind of guarantee to find happiness and sense of security of life so that everyone appreciate life and honour every opportunity they made. Art Clinic III is a forum component. The three artists and NAFA academic programmes will engage with students, and offer presentations with moderated discussions guided by peer-led learning. Handiwirman Saputra, Jumaldi Alfi and Yusra Martunus will also be talking about their practice and art making process. The artists will give a guided tour on their exhibition works and is a good opportunity for public to find out more about the artists’ practice and Indonesian art on 1 October 2016. New York city based Artist Rick Lewis is invited to exhibit along with Emily Berger, Zhang Hong and Claire Seidl at Central Connecticut State University from this month. Rick’s works are born out of relationships to or qualities within nature that connect with his psyche. Imagery seems to make itself known through perception of “a thing” or through remembered experience. Inspiration for the work is found in the curve of a path, a smell that recalls a specific memory, a texture on a tree, a peculiar sound, and so on. International pianist and Franz Liszt Festival director Eduard Kutrowatz currently composes music for some of Roland Hagenberg’s poems. The music – written for piano and an opera singer – will be part of the promotional video that will accompany Roland’s book – published end of the year, so stay tuned! The Bali Vegan Festival is dedicated to the proposition that World Peace starts with each of us cultivating an inner sense of compassion for ourselves and others, and that this compassion extends to animals. If mankind cared more deeply for its creatures – humans and animals alike - we would all be one step closer to World Peace. The annual Bali Vegan Festival is, a global event celebrating all things organic, macrobiotic, raw and vegan. The festival unites world-class vegan chefs, yoga teachers, healers, musicians, comedians, environmentalists and vegan lifestyle enthusiasts from all walks of life and all across the globe. Taking place in Ubud, Bali the free festival will be held at Down to Earth Paradiso and Taksu from the 7th-9th October 2016. Tirta Empul is an important temple complex and holy mountain spring, The site serves as a legendary setting of a traditional tale about good versus evil. It is also a national cultural heritage site.